Funny 3D Characters : Matt Roussel is famous 3d Chracter artist who lives in TOULOUSE, France. He is expert in Cinema 4D and 3D softwares. i hope you like his 3d designs. CINEMA 4D is a 3D modeling, animation and rendering application developed by MAXON Computer GmbH of Friedrichsdorf, Germany. It is capable of procedural and polygonal/subd modeling, animating, lighting, texturing, rendering, and common features found in 3D modelling applications. 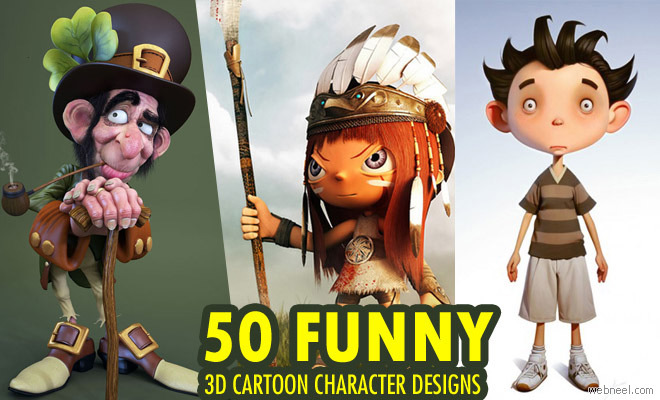 i hope you will like these 3d funny characters.